Founded in 1801, the London Stock Exchange, otherwise refered as LSE, is one of the biggest stock exchanges in the world. In an effort to remain competitive in an ever-changing market, the LSE accepts various methods of trading and has even some stock trading software from third parties. 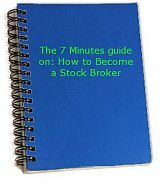 Of course, the methods of trading stocks vary by firm but the LSE does offer a wide selection of methods to connect to the exchange. Connecting to the LSE if you have your own trading systems or information systems is simplest, host-to-host. If you choose this method, you’ll have access to the vast number of financial services offered by the LSE. If you wish to trade only and receive information from another party, you can also connect directly to the Exchange. The London Stock Exchange has even gone as far as forging relationships with other vendors to allow international traders the ability to connect to the LSE mainframe. In an effort to provide a wide range of services to LSE clients, they offer four domestic trading systems and four international systems. SETS is an electronic book that specializes in United Kingdom blue chip securities. SETSmm deals with market making liquidity in small, medium, and large-sized companies. With two other domestic trading systems, the London Stock Exchange also has international systems for all customers. A closer look of LSE systems reveals that each of the domestic systems has a corresponding international system. As long as you qualify for one of the eight systems, there should be no problem determining which system works best for you. One of the major differences between the LSE and the New York Stock Exchange (NYSE) is that the LSE offers companies more flexible terms for utilizing their exchange. Unlike the United States, where there are laws that govern standards within the stock exchange industry. A long relationship has existed between the NYSE and the LSE, as well as a long-standing competition for title of ‘financial center of the world’. This relationship, however, has not stood in the way of either exchange in their efforts to expand. The London Stock Exchange has been experiencing a period of growth, mostly due to the lack of disclosure and virtual monopoly, which allows buyers and traders to deal with very little, if any government regulation. The most obvious difference between the exchanges is perhaps what defines them most; NYSE holds fast to the tradition of the trading floor, whereas the LSE has recently transitioned to an electronic ‘trading floor’. Making itself more appealing to worldwide market players, the LSE has moved into the next generation of trading and the NYSE is locked in the tradition of the trading floor. Similarly, both Exchanges suffered crushing blows as the internet gambling business hit a snag in the summer of 2006. Although the LSE felt the hit much harder than the NYSE, both felt the effects of lax regulations to varying degrees. Ultimately both exchanges are more similar than they are different, but the London Stock Exchange’s ability to propel itself to the forefront of the new age of trading, leaves the current financial center of the world in New York scrambling to catch up, if they feel compelled to do so.